Kamaru Usman hasn't been that impressed by Darren Till and thinks the Liverpool native is in for a rude awakening when he faces Stephen "Wonderboy" Thompson. Prior to being booked for the main event at UFC Fight Night in Chile against Santiago Ponzinibbio, Kamaru Usman was gunning for a showdown in Liverpool against highly touted local favorite Darren Till. Usman had actually been pushing for that matchup for several months going all the way back to the lead up for the UFC card in London as he consistently called out Till while trying to land a fight with him. Unfortunately, Usman never got his wish but he still earned a main event slot. As for Till, he ended up with a different opponent as he faces two-time title contender Stephen “Wonderboy” Thompson on May 27 in England. Now stylistically, Usman knows that “Wonderboy” will give Till a more favorable matchup because they will clash in a battle of striker against striker. That said, Usman believes that the hype surrounding Till will come to a crashing halt when he faces Thompson in May. 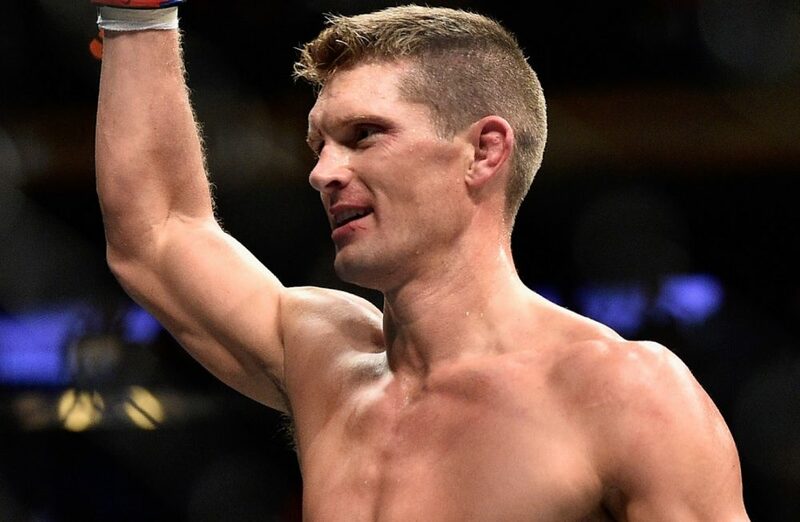 “I think “Wonderboy” beats him up,” Usman said about the matchup. “I honestly believe a healthy “Wonderboy” will beat him up. Darren Till’s tough, I take nothing away from him. He’s got some skills. But I just feel like he has a much further way to go than to start screaming for a title or to start screaming about leaving a legacy or whatever other s–t he says. It’s too early right now. Usman has said in the past that he believes the UFC was protecting Till from him, which is why he wasn’t in the running for that main event spot in Liverpool. In many ways, Usman sees Till getting similar treatment as Conor McGregor after he burst on the scene and became a household name in Ireland almost overnight from his first appearance in the UFC. Of course, Usman pays credit to McGregor for putting in the work and earning his spot as the top draw in the entire sport but he feels like the UFC is trying to offer a similar path to Till as they search for a new superstar in England. “It baffles me why the UFC is picking and choosing who they want to push and what market they want to break into and that’s the guy they’re going to jump behind,” Usman said. “We saw how much they got behind Conor because of Ireland and that was great. Conor was special. Conor was able to back it up and do the things he said he would do. Also with Conor they gave him the right style matchups to get him there.